groups can cancel thier reservation free of charge up to 3 weeks before arrival. After this date, charges will be applied by the property up to the full cost of the reservation.Deposit paid are non refundable. 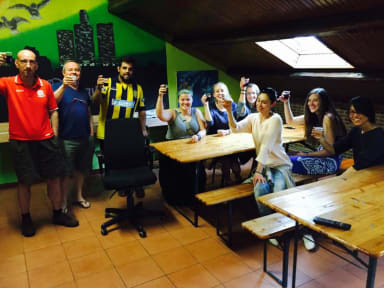 The hostel offers private rooms and mixed choice. There is one of the most popular bar in Milan witch is has 33 different kind of craft beer . we are just 15 min from corso como the best nightlife area in milan. Booking with Debit Card or Paypal Must leave a valid phone number to reach Them in case we Need ,And should contact us directly and give us notice if they check-in later than 14:00 . This place was not as bad as some reviews make it out to be. My friend and I are about 20 and we stayed in the all female dorm. It was clean, the other people were respectful, and the bathrooms on our floor were actually very nice. For the money this is a great deal. Front desk staff were very nice to us. chilled staff, all good. would go again! 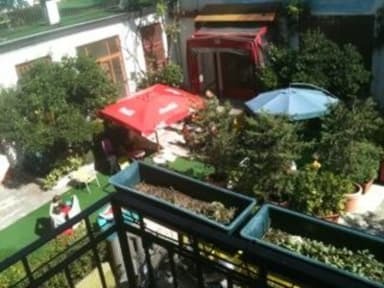 It is a great low budget hostel with all what it means. Nice staff and 24h reception! The payment calculation is odd, they seem to ignore the amount paid to HW. As for cooking, expect a microwave. The hostel is quite far from the centre. There is a metro station about 10 min away, but it seems like a bad neighbourhood so I’d be carful walking there at night. The bathrooms were quite dirty with water on the floor most of the day. The staff was however very kind and helpful. The vibe was really weird. The bathroom were dirty. The employee at the reception was cool but the one that might be the owner was really mean. You should never visit this place! I don't know why it keeps listed here!